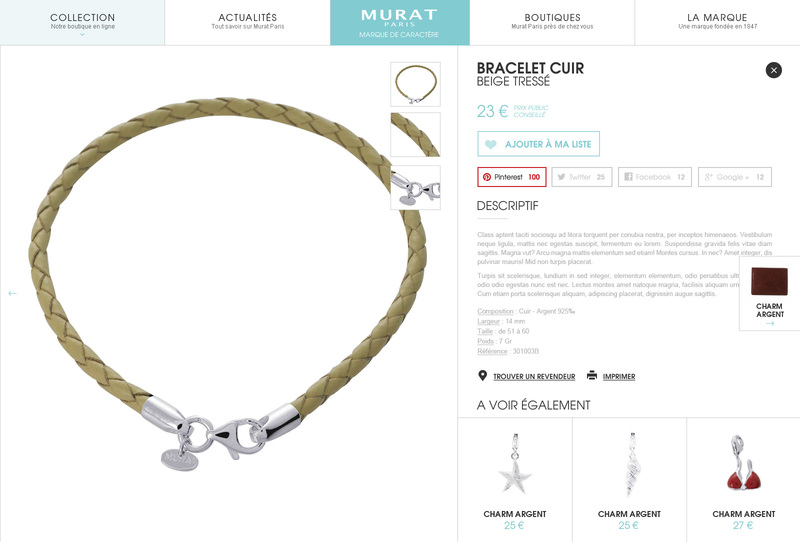 French fashion jewelry since 1847. 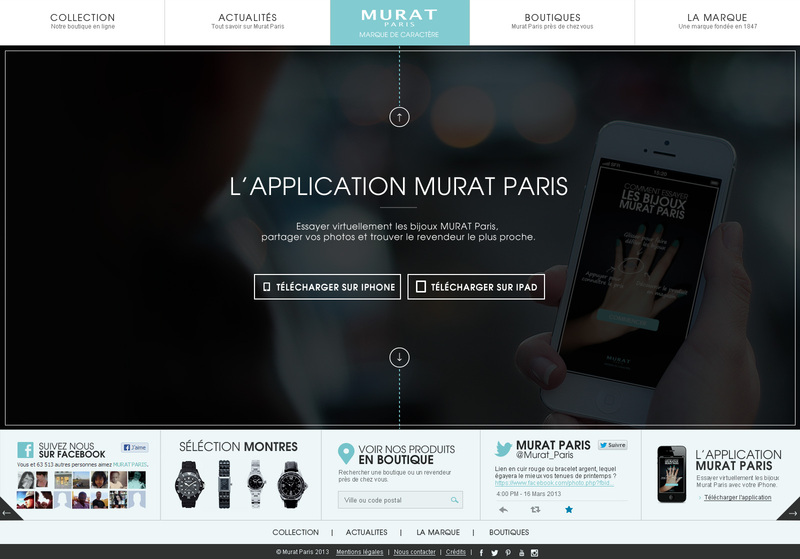 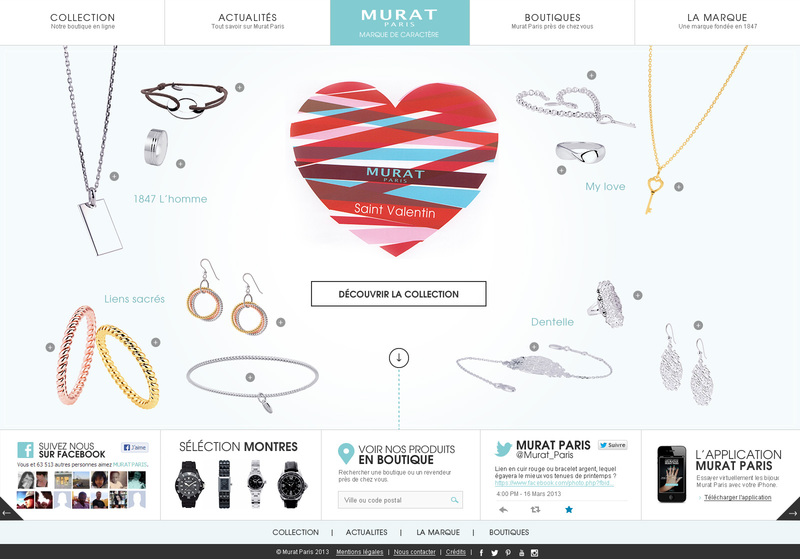 I worked for many years with the brand Murat Paris. 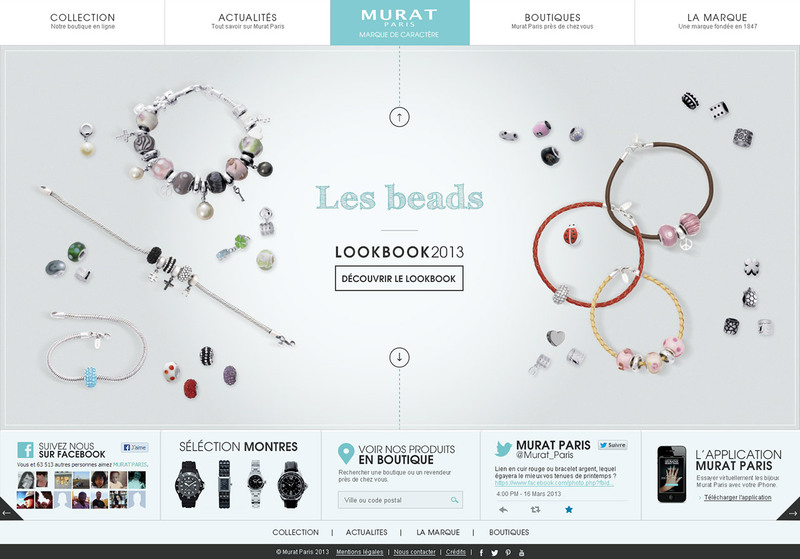 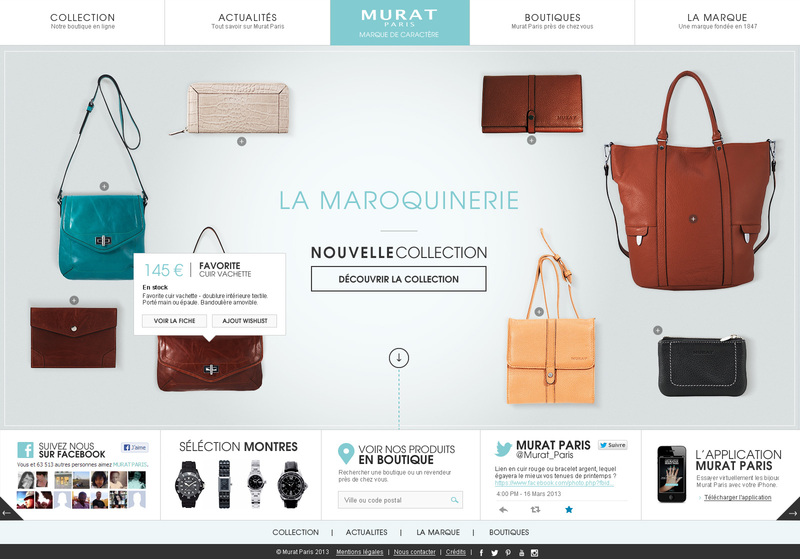 With “les indépendants” agency, we accompanied them in their transition to an e-commerce site. 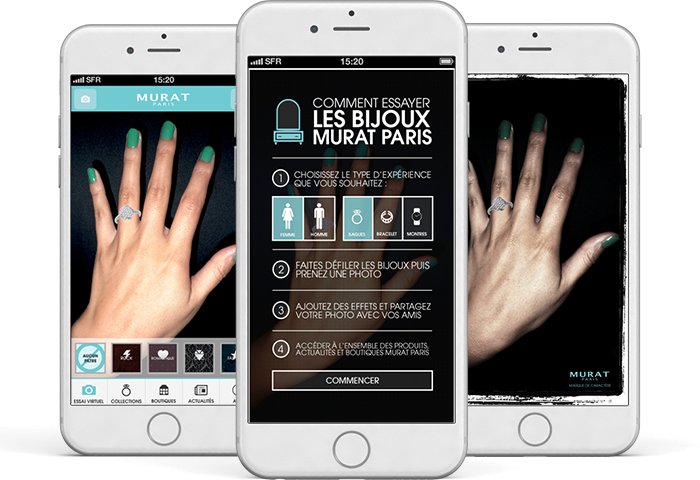 I also worked on an innovative augmented reality jewelry fitting application on iOs. 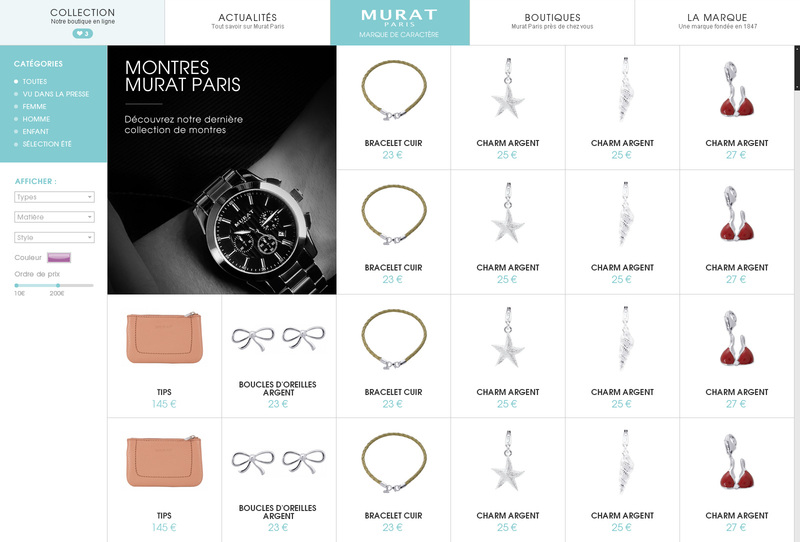 E-commerce list & detail screens. 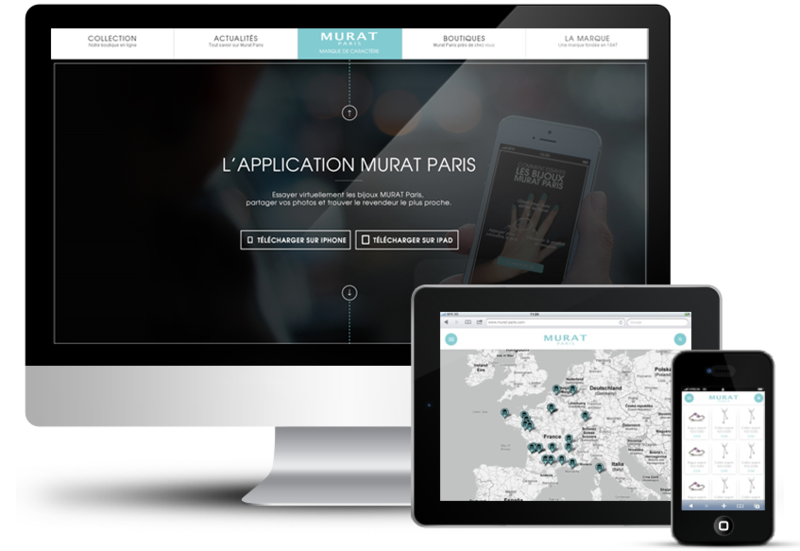 An overview on the augmented reality app.